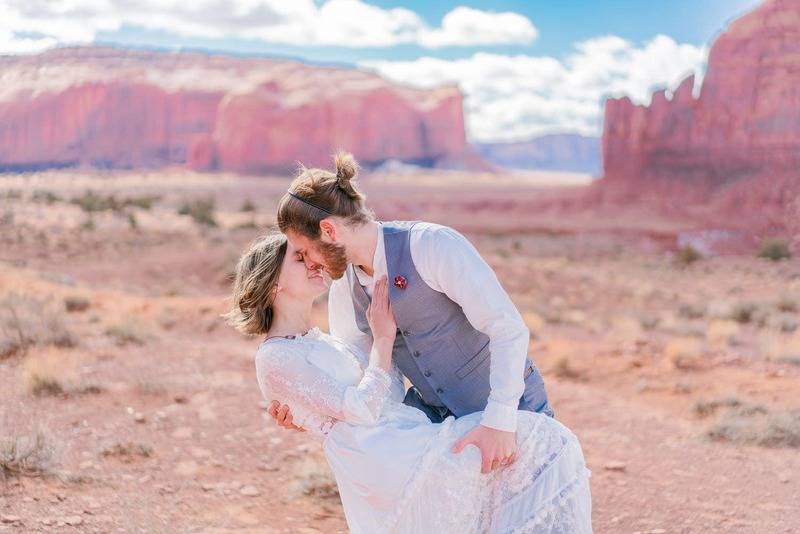 Tyler & Paige are a photographer & videographer & they both really saw the benefits of having a more intimate wedding & eloping. 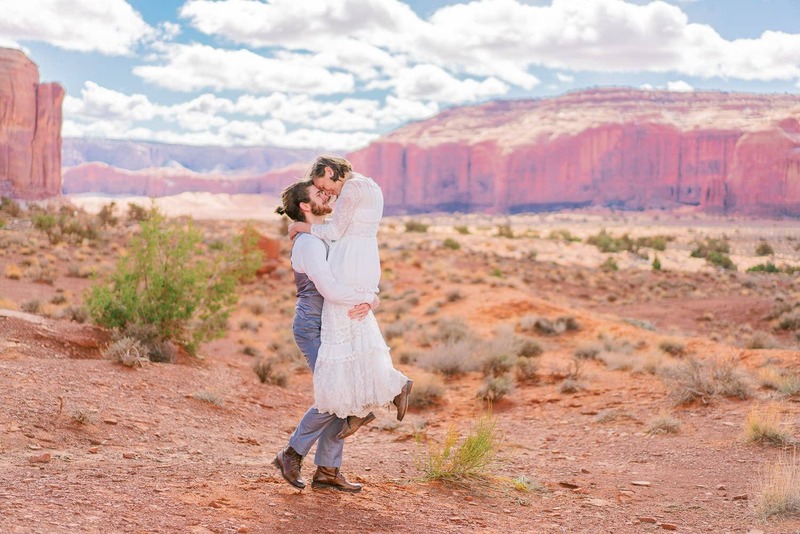 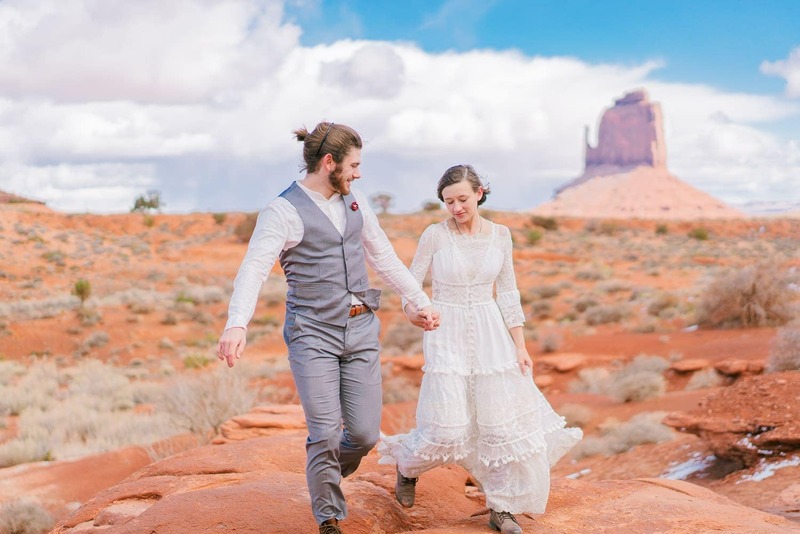 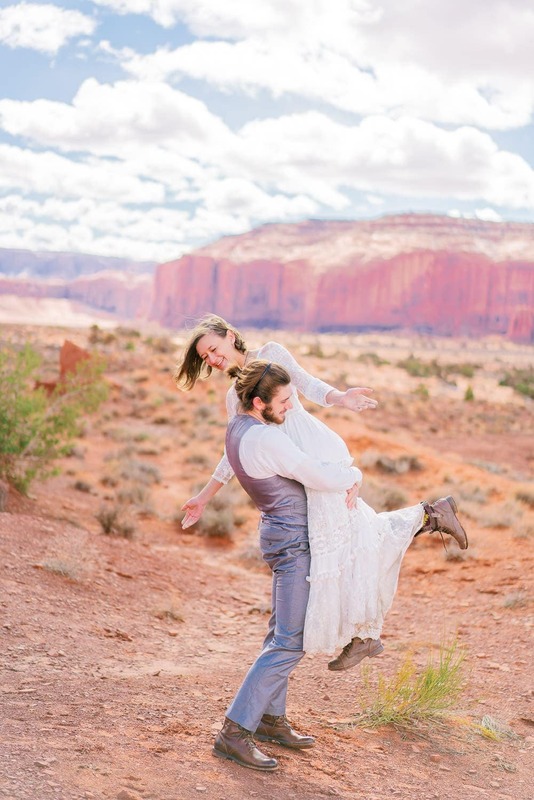 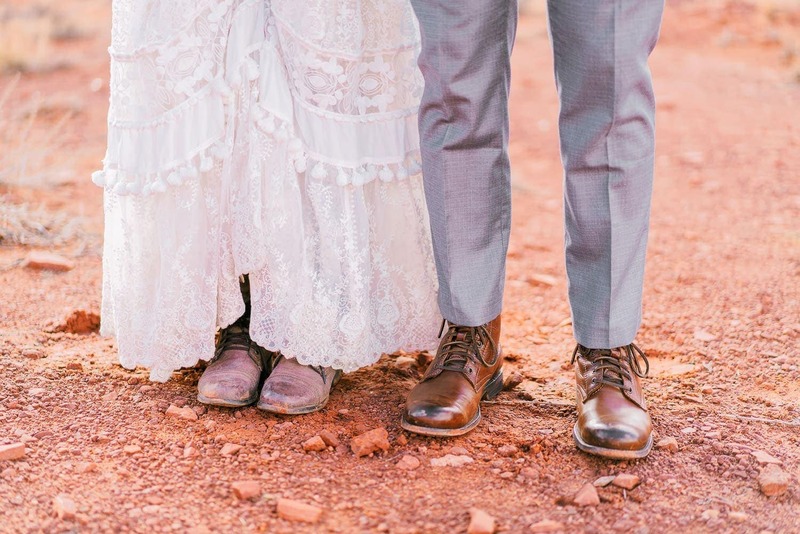 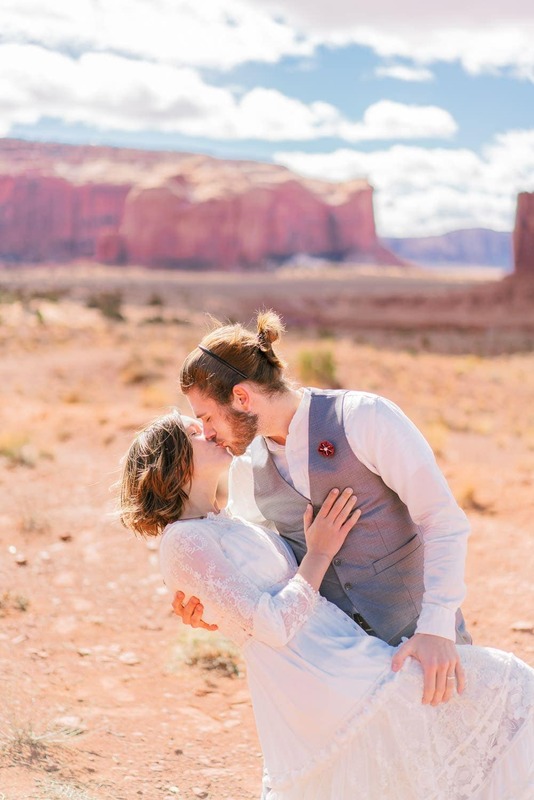 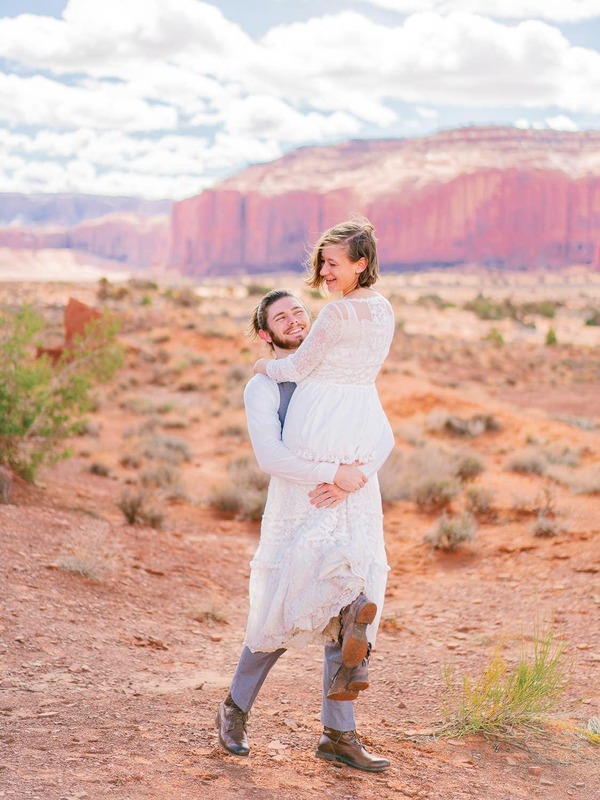 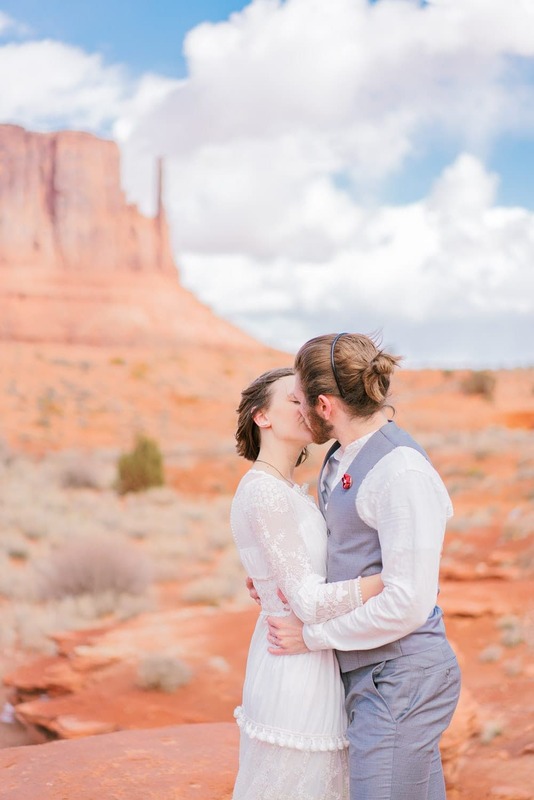 This hiking elopement in Monument Valley was full of adventure! 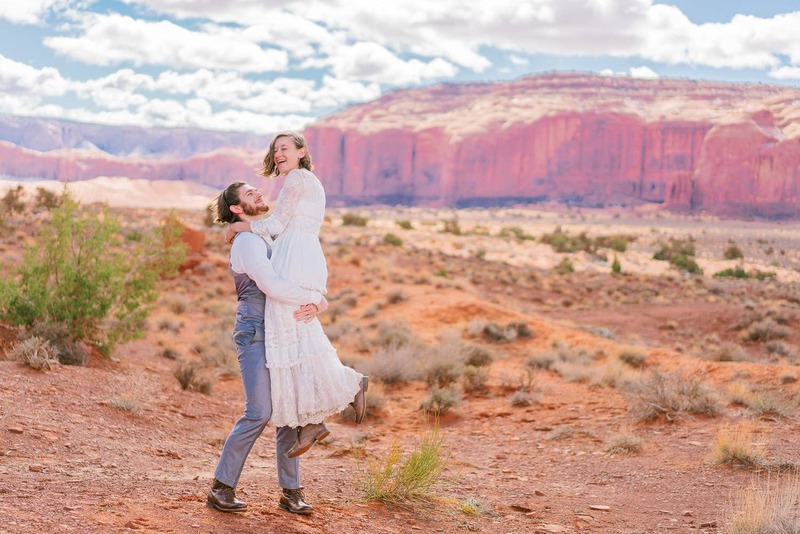 We drove through some deep, red mud on the winding red dirt roads within the area around Monument Valley & Valley of the Gods. 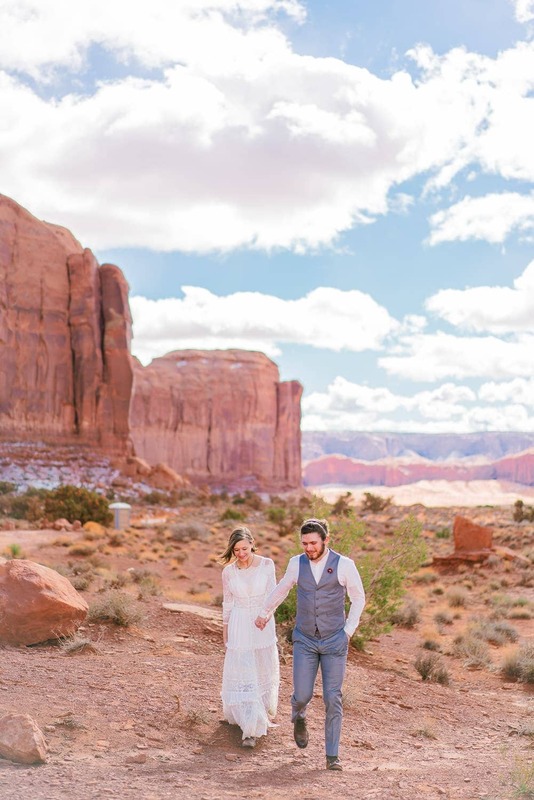 I just absolutely love the rich colors within southern Utah & northern Arizona! 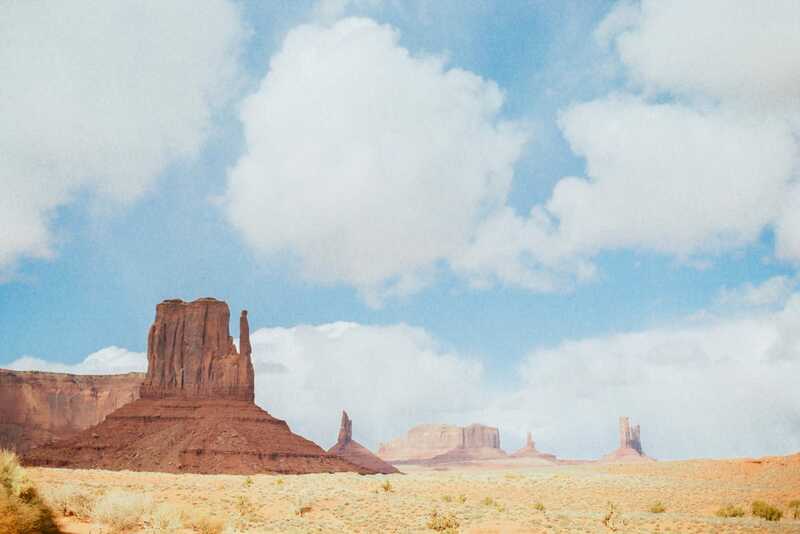 The contrast between the land & the sky is just beautiful. 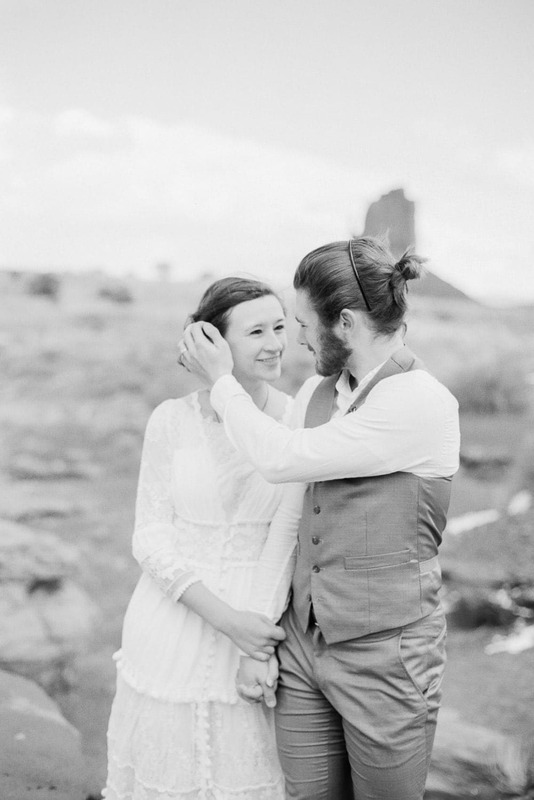 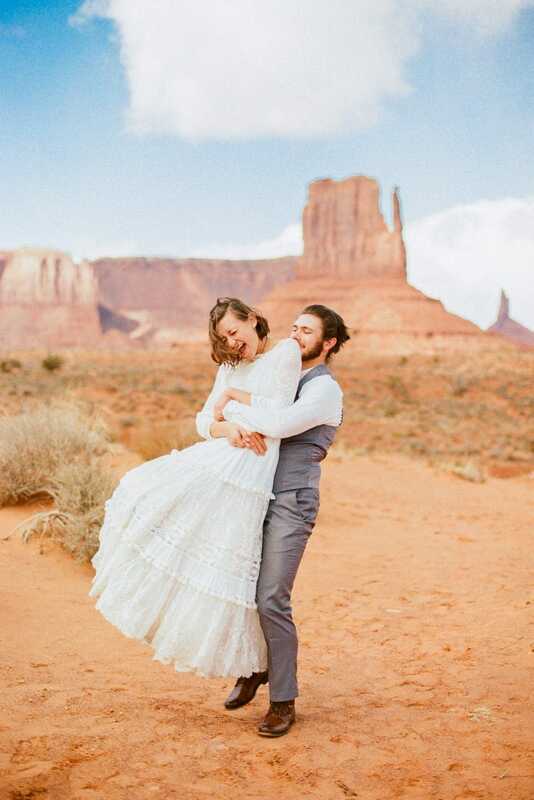 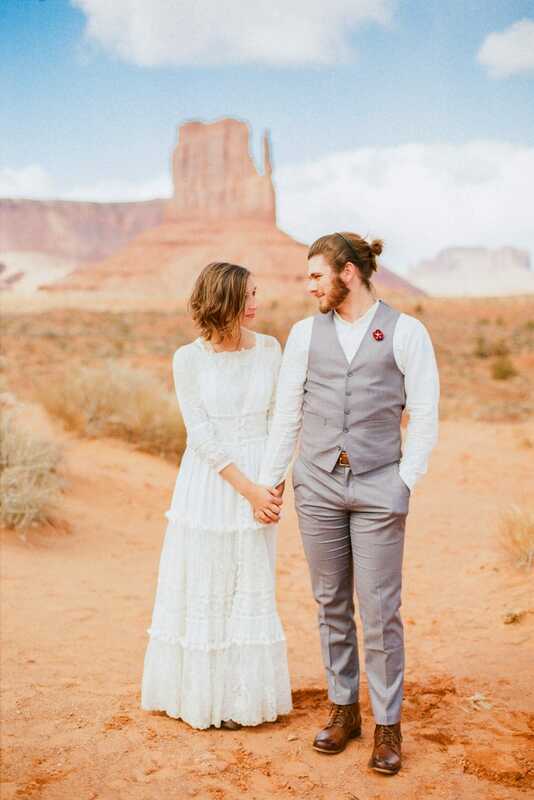 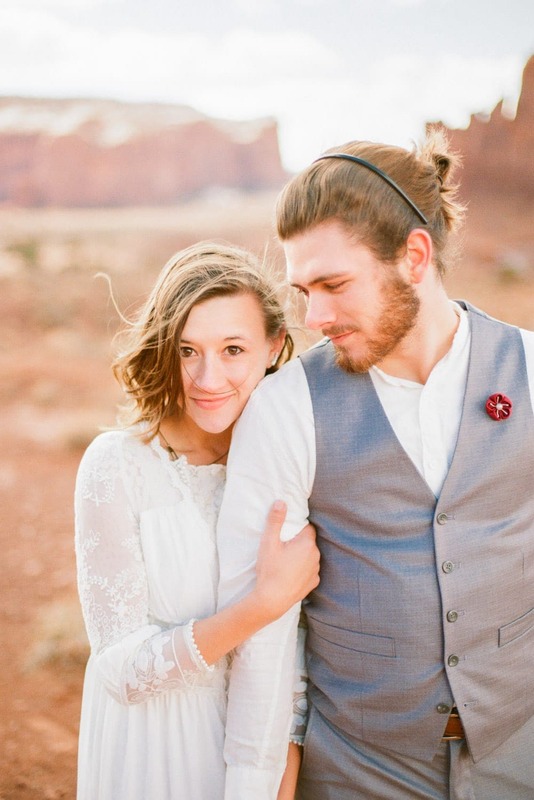 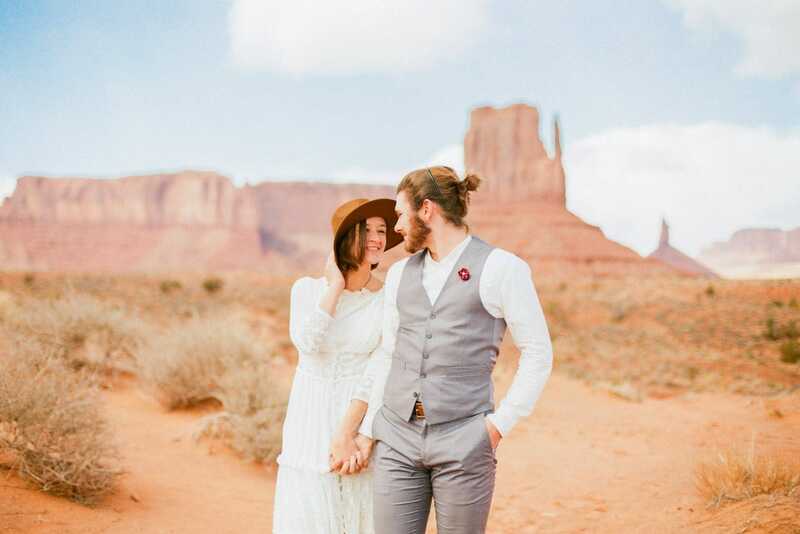 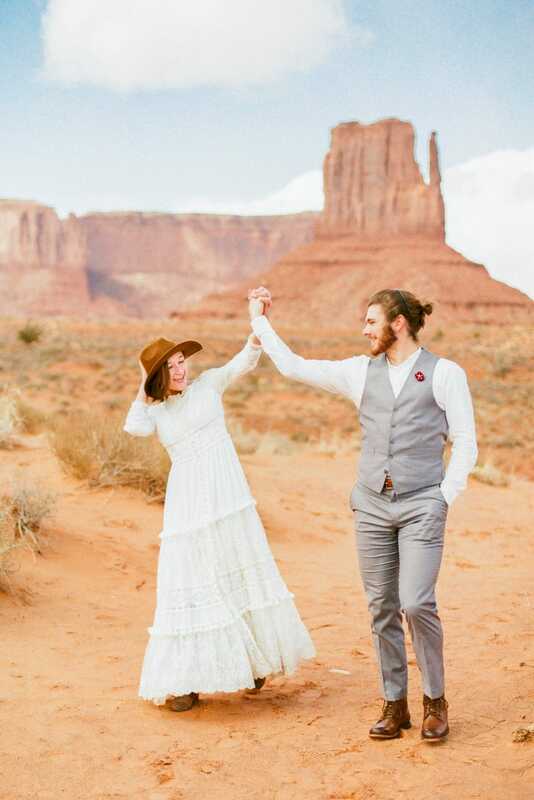 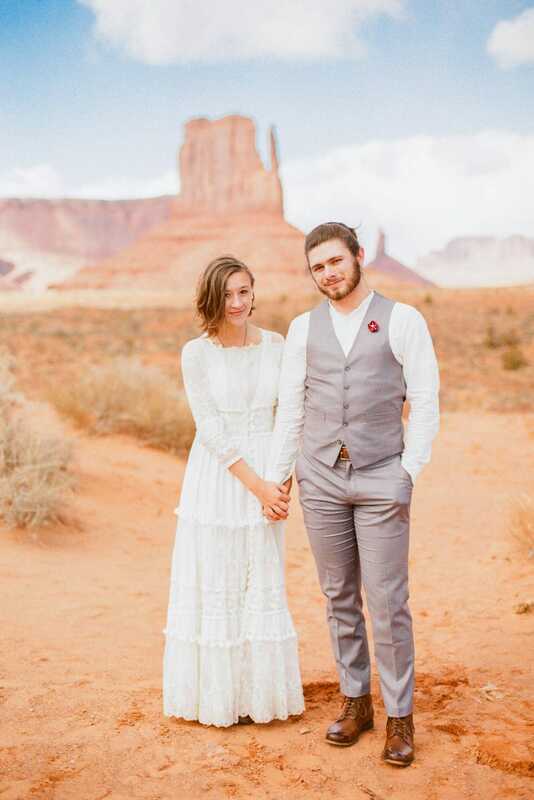 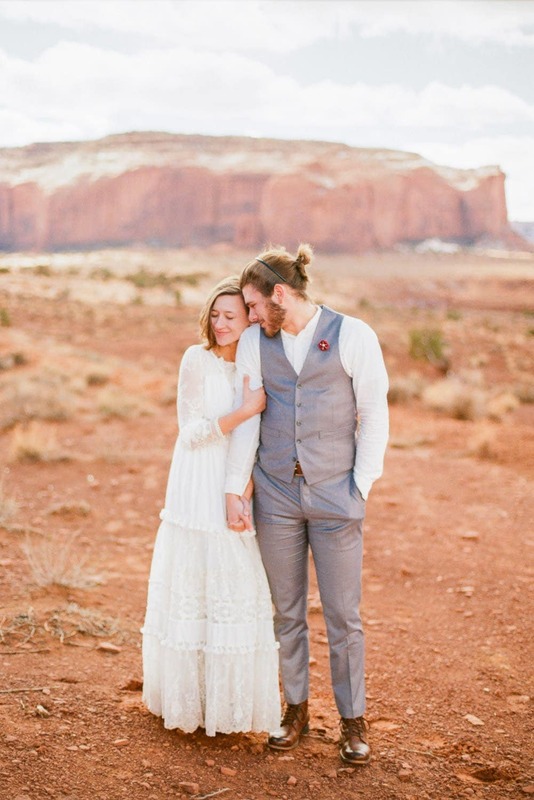 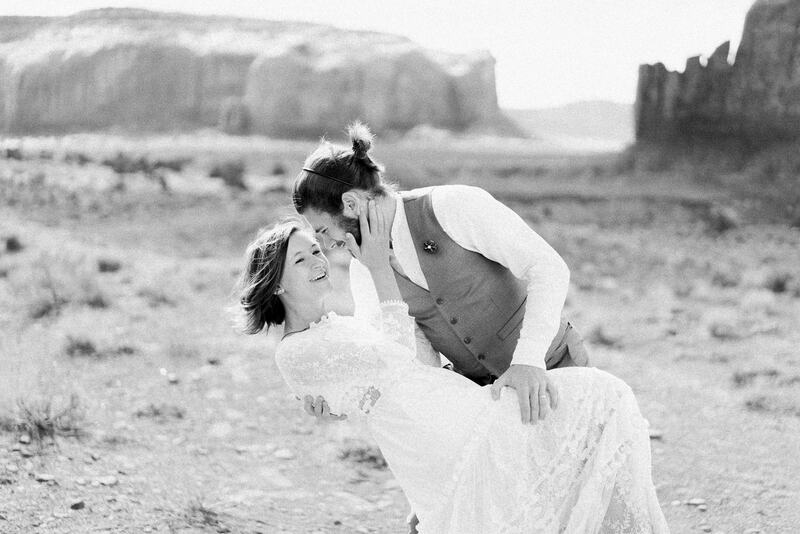 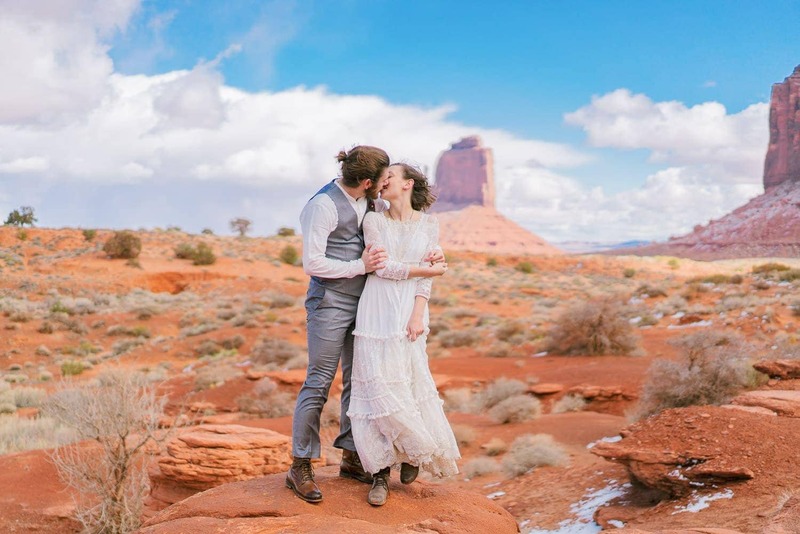 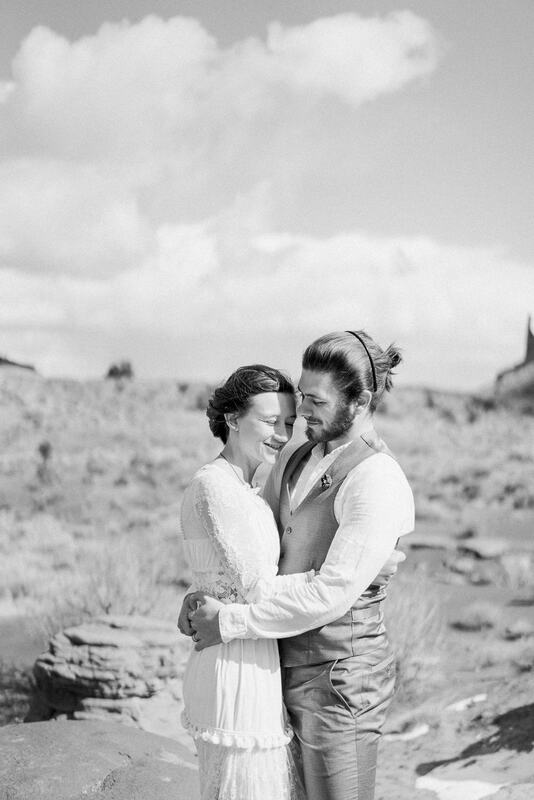 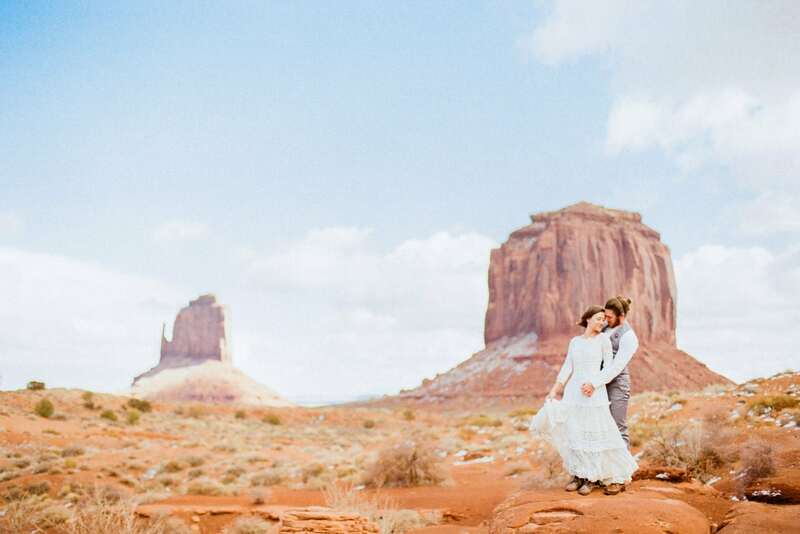 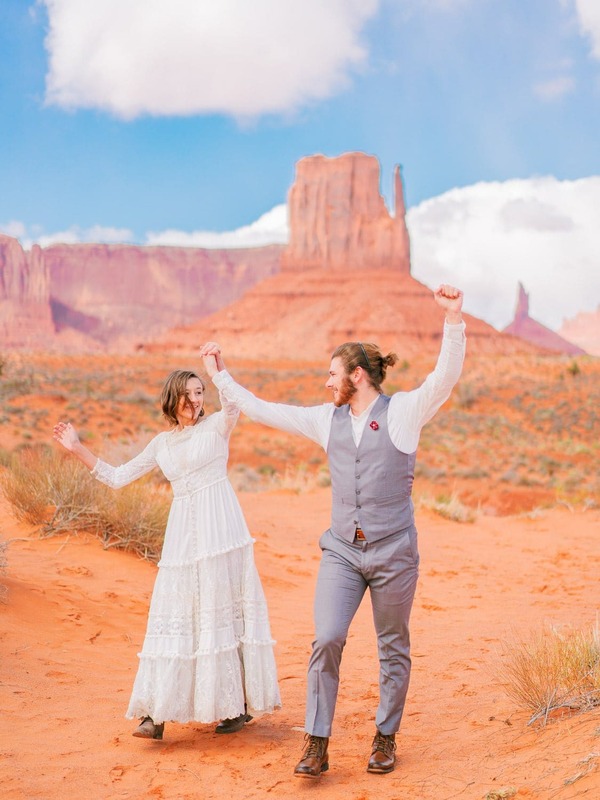 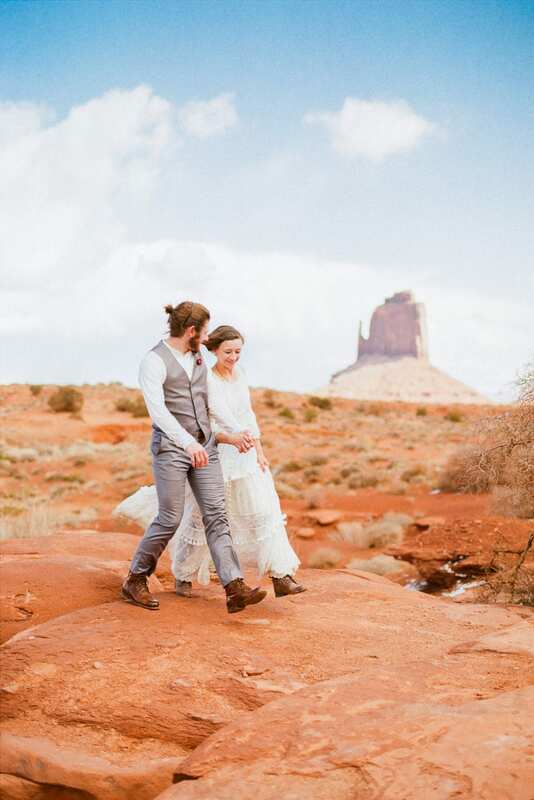 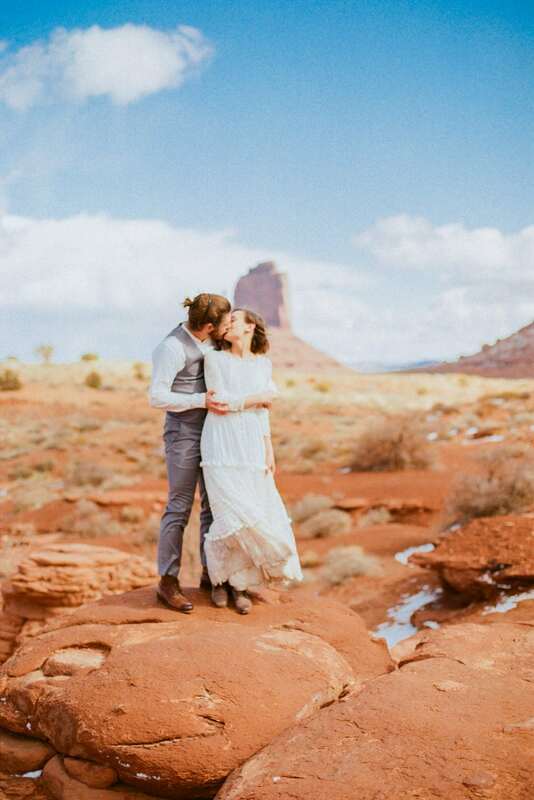 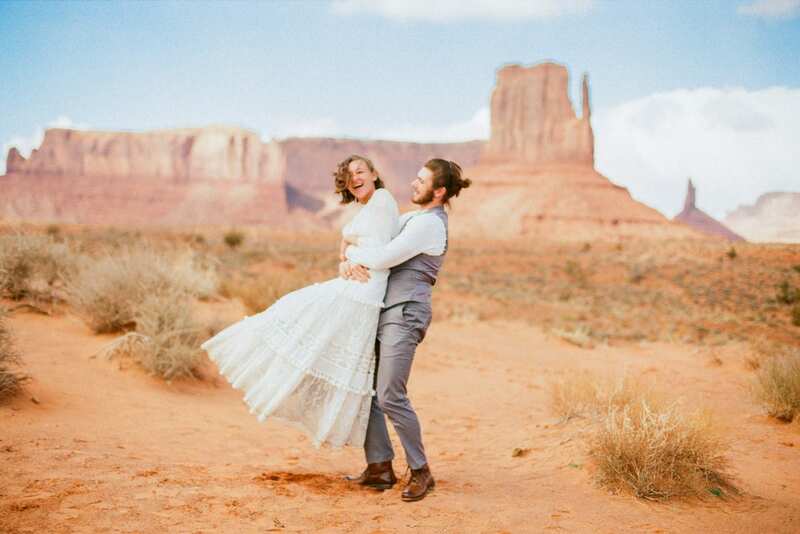 Such a beautiful monument valley elopement! 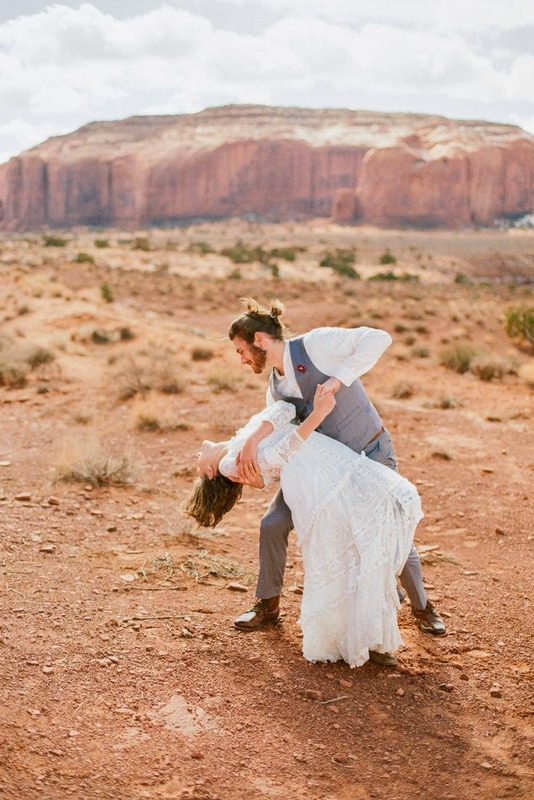 That desert landscape is to die for!! 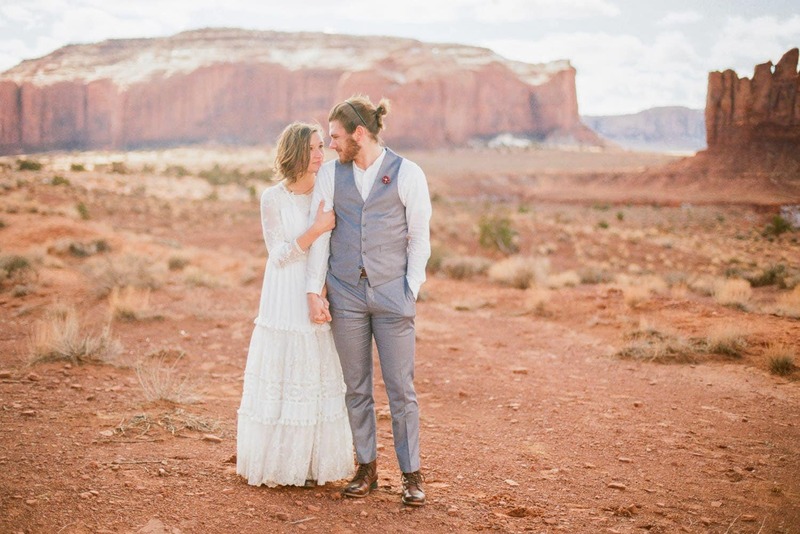 Love how intimate and adorable this elopement session is — you can really see how happy they are together. 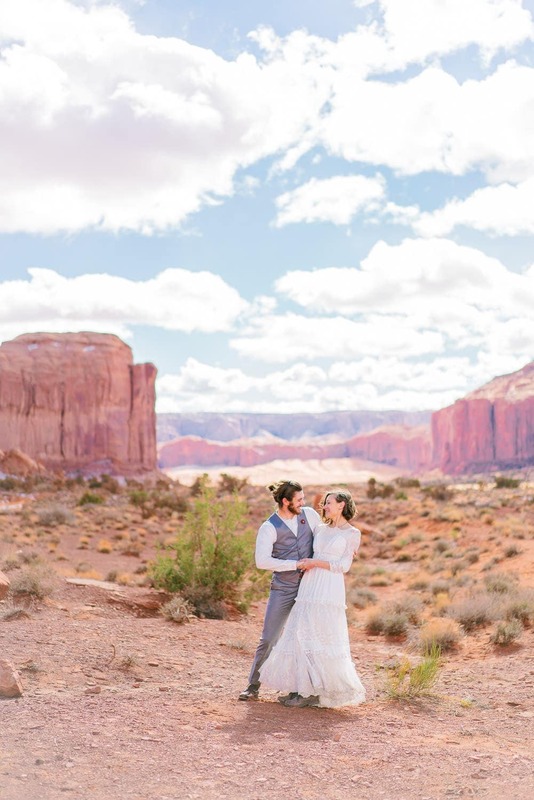 You did a wonderful job capturing these!